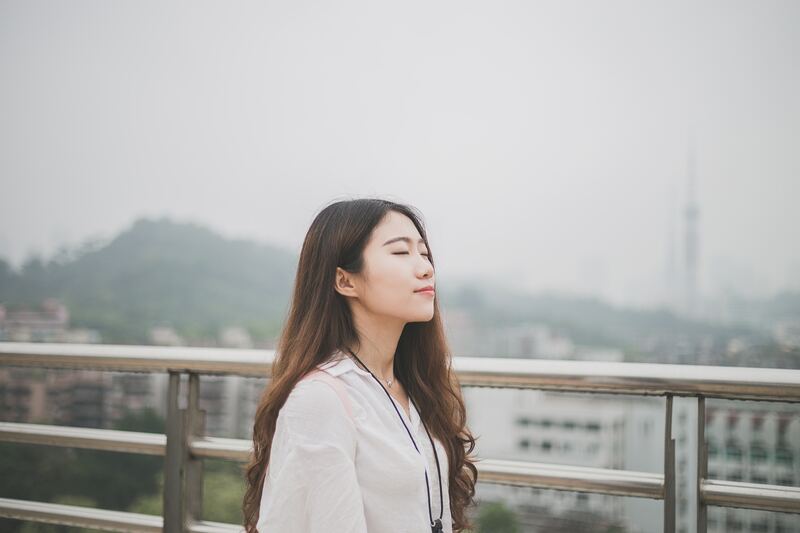 Utilize these simple ways to improve your mood in public, at work or perhaps anytime you feel like you don't have a ton of options at your disposal. Many times, okay often, you know what, most of the time, it feels like negative emotions bubble up at the most inopportune moments. These unfavorable times often happen at work, like if your boss is a total jerk or your co-workers are a constant distraction. Maybe you worked all night on a presentation only to find out that your thumb-drive was corrupted. Perhaps you experienced a string of annoyances throughout the day and poor customer service feels like the last straw. I don’t need to rub salt into the wound. You catch my drift and you’re likely here for some emergency support or preventative information for the next time you’re ready to pop your top. So here are 5 ways for you to improve your mood when you don’t have a lot of options at your disposal like venting. Remove your attention from whatever is triggering you and focus on your surroundings. Then, begin mentally describing the details of your surroundings, making sure to note all of the things you find pleasant. This sort of practice can be extremely helpful as shifting your focus to positive cues reduces anxiety response in the brain according to this study published in the Journal of Biological Psychology by Dr. Brady Nelson of Stony Brook University and colleagues. If you’re looking for more preventative measures, then have fun creating or decorating your environment with positive triggers like photos of you playing with your pets, positive sayings and quotes, your most favorite scented candles, fresh flowers, etc. A study published in the Journal of Advanced Nursing found music to be an effective intervention for patients. There are few things that can evoke more negative emotion than health issues and looming medical procedures so it’s safe to say that music can boost a mood in just about any circumstance. Try to make a habit of curating a playlist with your favorite songs on your cell-phone and keep a couple pairs of earbuds handy at all times. For example, I think grocery shopping is one of the more annoying tasks of life. It’s just not my thing. So, if you ever run into me at the grocery store I’m likely going to be jamming out to some song while I’m sorting through the nutrition labels on junk food. There’s a lot of truth to the saying “the devil is in the details.” Oftentimes tasks are more enjoyable when you’re not in the “weeds.” The deeper you dig into the weeds the greater the complications, the more you find things vying for your attention, and frankly, the more ways for things to go wrong. Looking at this idea from a broader scope you can even imagine work, errands, and obligations are just the details in your life, they’re the weeds if you will. So, take a step back from the details to find more joy. The quickest way to do this is to go outside, spend time in nature and enjoy the fresh air. Your body reacts to stress in many ways and one of those is muscle tension particularly in the back, shoulders, and neck. Harvard Health published an article about the benefits of exercise and stress and cited stretching as a stress reliever as well. The natural next train of thought is “well I can’t just bust out into yoga poses in the office.” And, I say fair enough! Which is why I’m including this article about desk exercises published by Healthline. The article features several visual aids for stretching while sitting in a chair. In addition to muscle tension, our bodies react to stress through rapid breathing as a defense mechanism as the body seeks to distribute more oxygen-rich blood throughout your body more quickly. Sit up and get comfortable, perhaps by this point you’ve already done the stretches mentioned earlier. Breathe in through your nose and fill your diaphragm with air. And, that’s it. That’s all there is to the exercise. But it helps, so give it a try. Let these ways to improve your mood tide you over until you can revisit situations with greater clarity and positivity. Only then will you be able to see the bigger picture and potential solutions, which are the goals, right? Founder & Editor-In-Chief. My mission is to provide resources and tools that support overall well-being by through finding the fun, the funny, the helpful, and the intriguing.